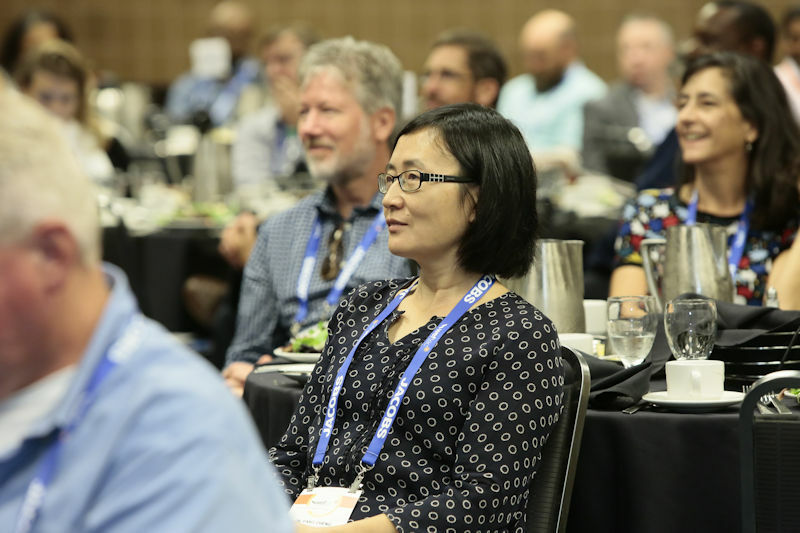 Attendees gather at the WEFTEC 2018 Stormwater Congress Luncheon to hear speakers discuss stormwater solutions and see National Municipal Stormwater and Green Infrastructure Awards presented to recipients. Photo courtesy of Oscar and Associates. During the Stormwater Congress Luncheon at WEFTEC 2018, 22 agencies received recognition from the fourth-annual Water Environment Federation (WEF; Alexandria, Va.) National Municipal Stormwater and Green Infrastructure Awards Program. The three award categories are Program Management, Innovation, and Overall Highest Score, which indicates the best-performing programs. Each category has winners in both Phase I and Phase II communities. Phase I communities are medium and large cities or certain counties with populations of 100,000 or more. Phase II communities are smaller entities that operate MS4s. In addition to the winners, the other applicants were categorized into levels signifying their status among other MS4 communities nationwide. Each MS4 received a certificate indicating silver- or gold-level status in both Program Management and Innovation.